Here you will find some fantastic ideas to decorate the inside of your house this holiday season. 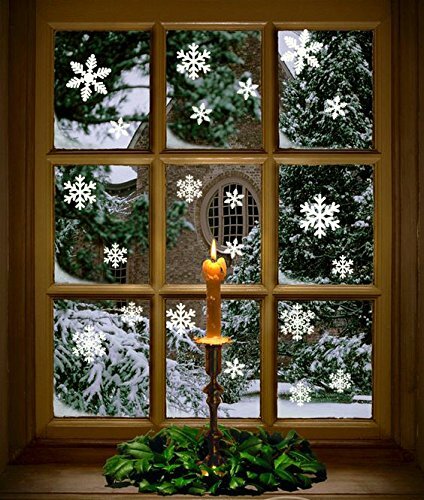 Snowflake Window Clings! These amazing little things stick to your windows.. then peel off without damaging the glass OR the cling! These are die cut flakes from white static cling vinyl. These cling to glass - windows,mirrors,doors,patio doors,tiles,smooth wall etc. and can be removed and used again next year. 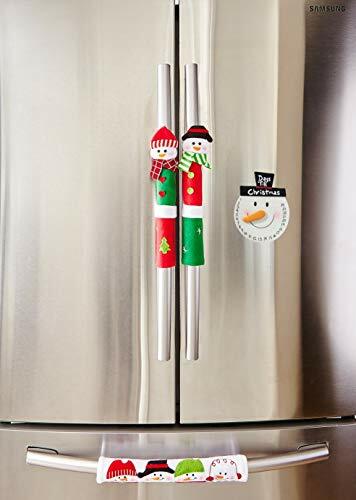 Get Ready for Holiday Season with This Snowman Kitchen Appliance Handle Covers, Set of 3 It's time to decorate your kitchen for welcoming the holiday season. 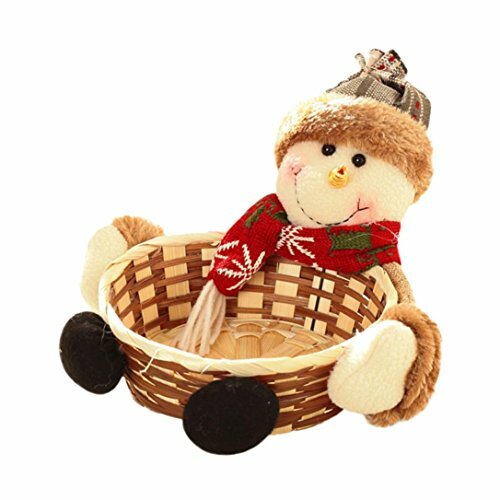 While adding festive feeling and comfort, this snowman appliance handle covers can protect handles from scratches. Two vertical snowman handle covers can be used onto two-door refrigerator handles. One horizontal snowman handle cover can be used onto oven handle. Our favorite place is kitchen faucet. Whenever you open the faucet, you feel like snowman is talking to you. Order it today and surround your kitchen appliances with this lovely snowman handle covers. 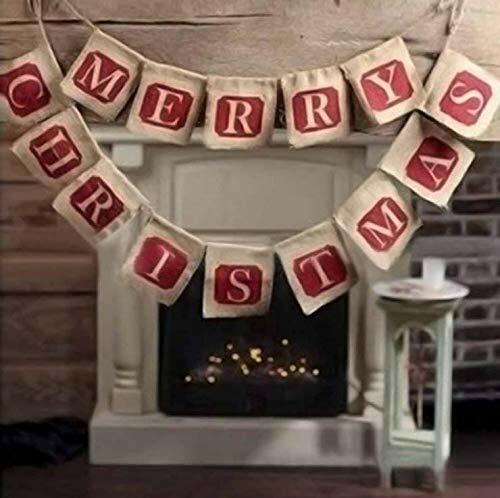 This beautiful Christmas buralp banner, with 14 flags with merry christmas printing is perfect for Christmas decoration to hang inside of your home.. 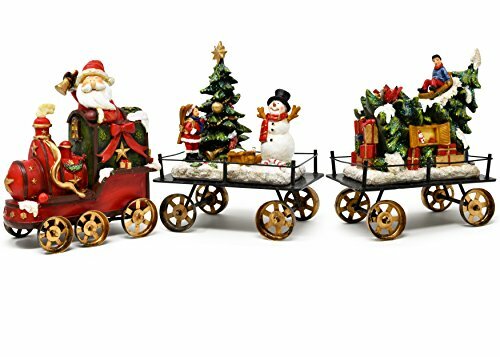 This set includes three train cars with Santa, snowman, and the Christmas tree. 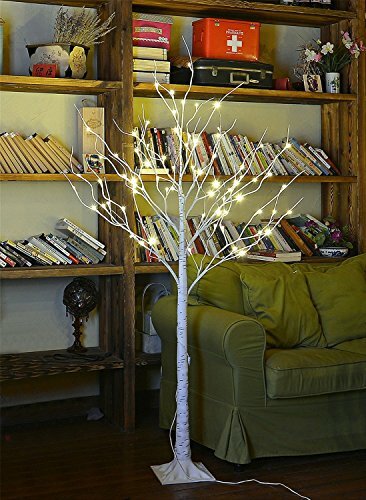 This LED Birch Tree comes with 4Ft height, plug-in to use.It brings nature's beauty into your home. Makes a beautiful addition to your holiday decor. 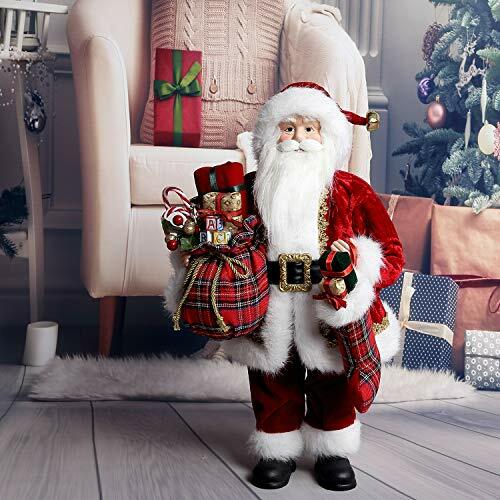 This classic 18 inch height red Santa figurines bring the magic of Christmas to your home. Handcrafted from high-quality, hand-painted clothtique, a proprietary stiffened fabric material with mixed media accents. Silky white soft beard and mustache, stands stable on any flat surface. 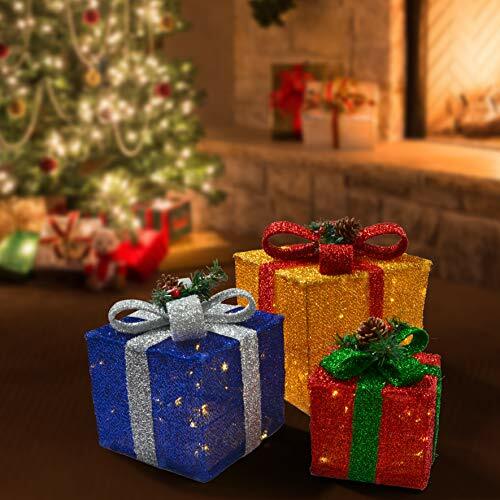 It is a ideal for christmas home ornament, mantelpieces decor, windowsill decoration. 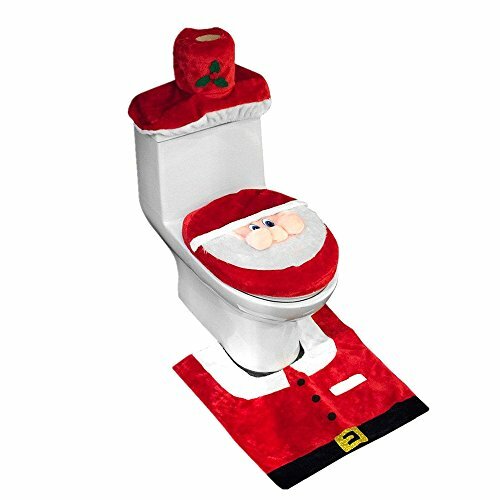 He will add a touch of christmas luxury to any home and suits all ages. 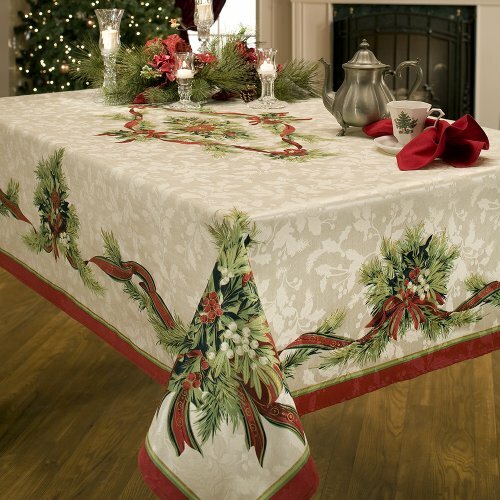 Benson Mills offers diverse high-quality Holiday fabric tablecloths with creative patterns. 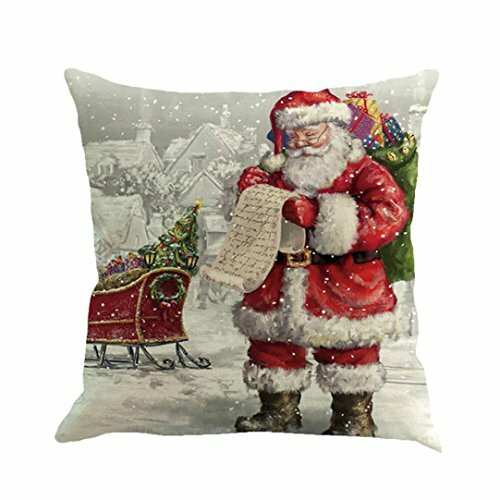 Beautiful and festive throw pillow cover to make your couch look snazzy this holiday season. These little baskets are so cute. I filled them with candy and gave as a Christmas present. 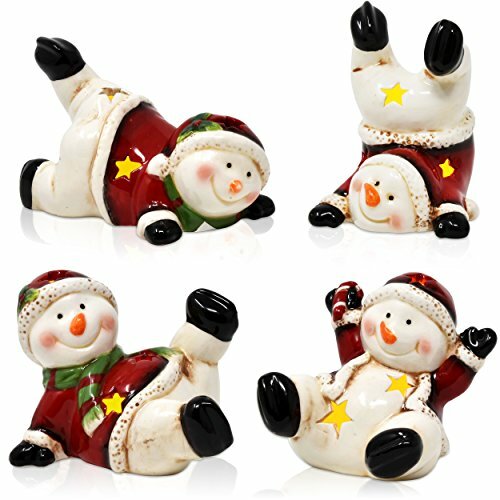 Four assorted playful snowmen have cutout stars with LED lighting shining through. Each frosty character is dressed in the classic red and green, to complement your holiday decor. These charmingly cute miniatures are a delight to look at, and can be used anywhere around the house. Outdoor Christmas decor for the super festive folks. Here are some fantastic ideas to decorate your yard this holiday season.